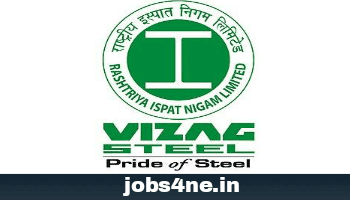 Rashtriya Ispat Nigam Limited (RINL) Recruitment 2018: 664 Nos. Junior Trainee Posts- Apply Online. - Jobs4NE : Jobs in Assam and North East India. Rashtriya Ispat Nigam Limited (RINL) Recruitment 2018: 664 Nos. Junior Trainee Posts- Apply Online. Rashtriya Ispat Nigam Limited (RINL) is the corporate entity of Visakhapatnam Steel Plant (VSP), India’s first shore-based integrated Steel Plant built with state-of-the-art technology and a prime producer of long steel products in the country having extensive market in infrastructure, construction, automobile, electrical and forging industry. With an annual turnover of over Rs.16000 crores, VSP is gearing up production to achieve rated capacity of 7.3 Mtpa liquid steel having three Captive Mines and 25 Marketing Branches Pan India. Forged Wheel Plant is another unit of RINL being setup at Raebareli, UP. The Plant is an epitome of technological marvel crafted in nature’s lap, where environment sustenance comes first and a tree is grown for every metric tonne of production capacity added. The residential township is unique of its kind with dense foliage, beautiful parks, wide roads and provides all modern amenities within and in the vicinity. RINL invites young, dynamic talented individuals to join as “Junior Trainees”. Name of Post: Junior Trainee. Age Limit: 27 years of age as on 01/07/2018, age relaxation will be as per rules. Stipend/ Pay : Candidates selected for the post will be required to undergo training for a period of twenty four (24) months. During Training, Junior Trainees will be paid a monthly stipend of Rs. 10700/- (consolidated) during the first year and a monthly stipend of Rs. 12200/- during the remaining period of training. On satisfactory completion of training, Junior Trainees will be considered for appointment with a minimum Basic Pay of Rs.16800 in the pay scale (Pre-revised) of Rs. 16800-3%-24110/- (S-3 Grade). Application Fee: Application fee must be deposited in at any of the core banking branches of State Bank of India in the prescribed Challan. No fee for SC/ ST/ PWD candidates. Selection Process: Selection will be through Online Computer Based Test followed by Certificate Verification and Medical Examination to the provisionally selected candidates. Online Test will be held simultaneously in multiple sessions at Bhubaneswar, Chennai, Delhi, Hyderabad, Kolkata, Kakinada, Mumbai, Patna, Ranchi, Rajahmundry, Vijayawada, Visakhapatnam, Vijayanagaram. How to Apply: Eligible candidates for the posts of Management Trainees required to apply Online through Vizag Steel Plant's website only.